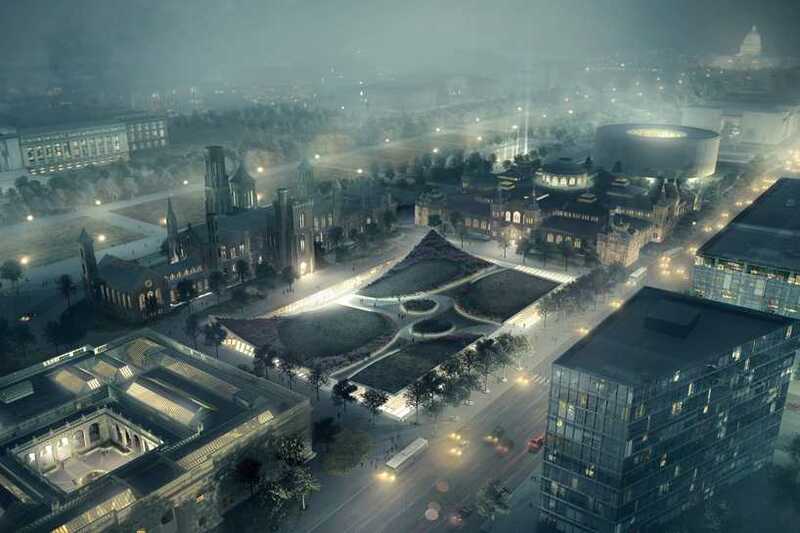 Smithsonian Campus Master Plan for Washington DC by Bjarke Ingels Group(BIG). The world’s largest museum and research complex. It has revealed plans for the renovation of the site’s south mall campus. The museums and gardens positioned along independence avenue in Washington DC. 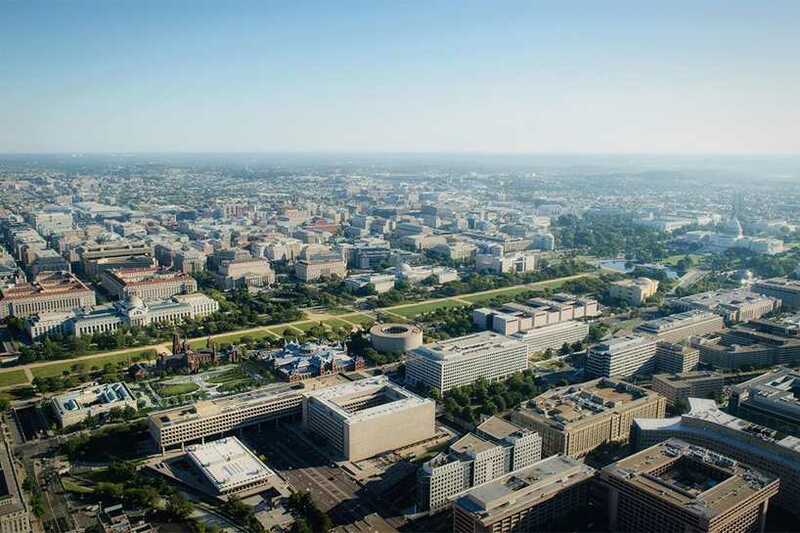 The vast redesign of Smithsonian campus master plan seeks to accomplish three primary objectives: To improve and expand visitor services and education. To create clear entrances and connections between the museums and gardens. And to replace aging building mechanical systems, that have reached the end of their lifespan. After being announced as the project’s architect in early 2013. 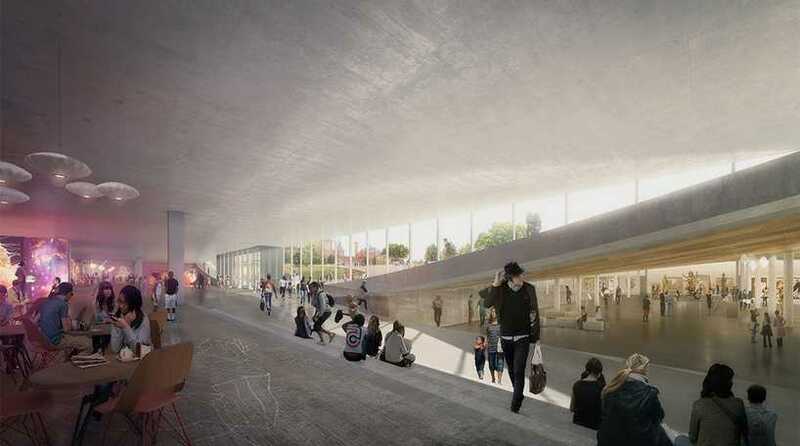 Bjarke ingels group (BIG) has subsequently designed a Smithsonian campus master plan. That will be implemented over a 20 year period, starting in 2016. The comprehensive overhaul includes the revitalization of the castle, with expanded visitor services. New mall-facing entrances to the national museum of African art and the Arthur m. slacker gallery. And improved visibility and access from the free gallery of art to the hirsh horn museum and its adjacent sculpture garden. The Smithsonian campus master plan provides the first-ever integrative vision for the south mall’, said Wayne clough, secretary of the Smithsonian institution. 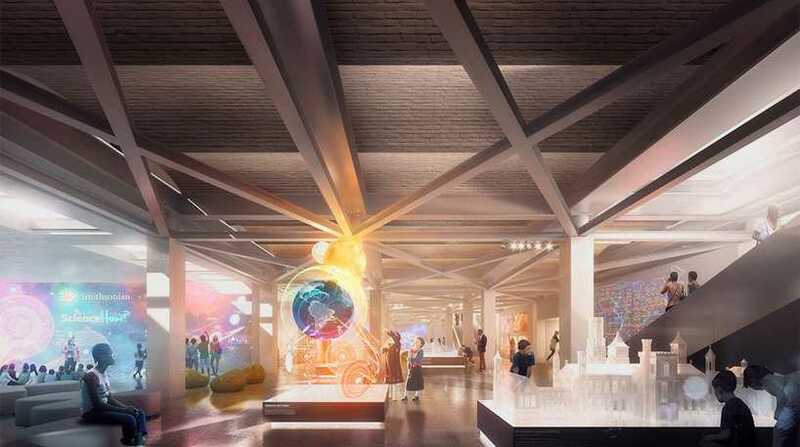 ‘Bjarke ingels group has given us a Smithsonian campus master plan that will offer open vistas, connected museums, galleries bathed in daylight. New performance venues, gardens that invite people into them. And it will visually attract visitors who will have an unparalleled experience. To resolve the contradictions between old and new, and to find freedom within the boundaries of strict regulation and historical preservation. We have chosen to carefully reinterpret the elements that are already present in the campus,’ explained bjarke ingels, founding partner at BIG. By forging new links between the various technical, programmatic, logistical and curatorial demands. We have created a new landscape of connectivity and possibility. We believe this Smithsonian campus master plan holds the potential to guide the Smithsonian south mall campus into the future. While remaining firmly rooted in its heritage. The original roof of the quadrangle building under the haupt garden will also be replaced. Bringing daylight into the underground complex for the first time. The project’s initial cost estimate is $2 billion. Which will be funded through a mix of private and federal investment. It’s a great honor and a humbling challenge to re-imagine one of the most significant American institutions on the front lawn of the nation’s capital‘, continued bjarke ingels. ‘Together with the Smithsonian – with whom we have worked closely over the last year and a half. We have conceived a Smithsonian campus master plan for the south mall campus as an example of radical reinterpretation. The centerpiece of the Smithsonian campus master plan is the complete restoration of the distinctive Smithsonian castle. Which originally opened in 1855. The building’s historic great hall, which has been considerably altered by insensitive partitions. 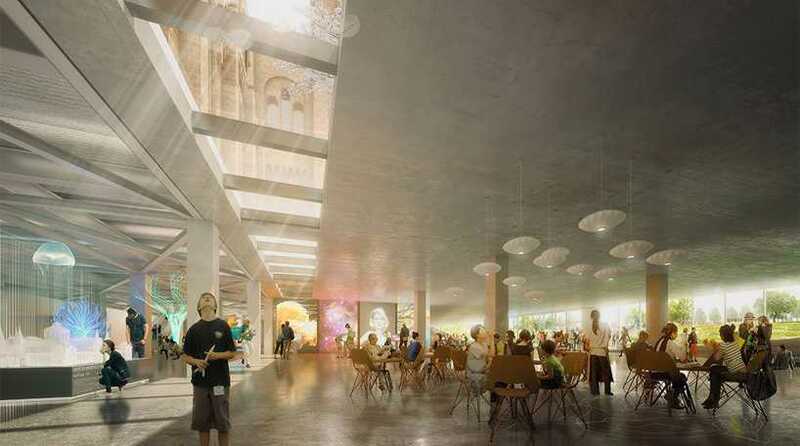 It will be renovated to include a two-level underground space for visitor services such as cafes and gift shops. Providing direct access to to Enid a. Haunt garden and the underground Ripley center. 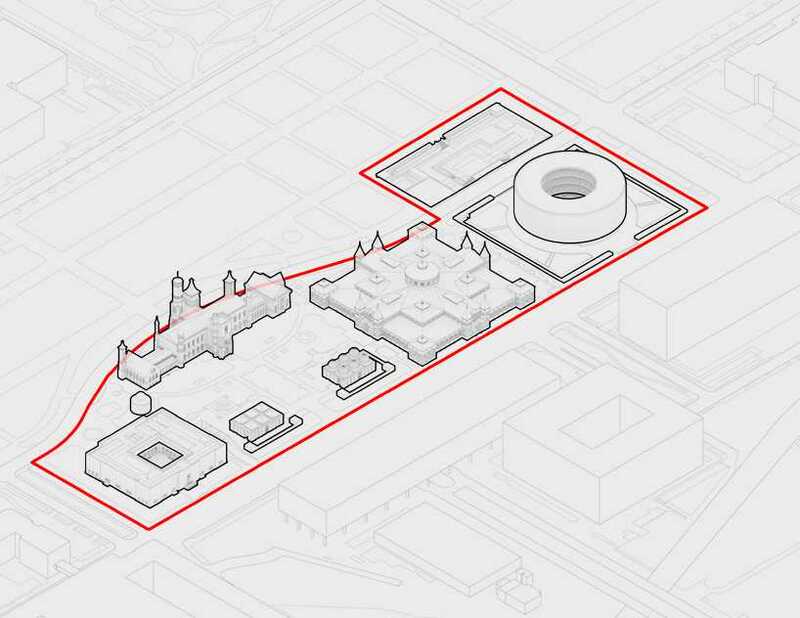 So, fellas this is all highlights of the Smithsonian campus master plan, You imagine the future of this Smithsonian Institutes developments, and how architecture play the roll to create some world famous and known place to come in top of the line. Hope you people enjoy it.